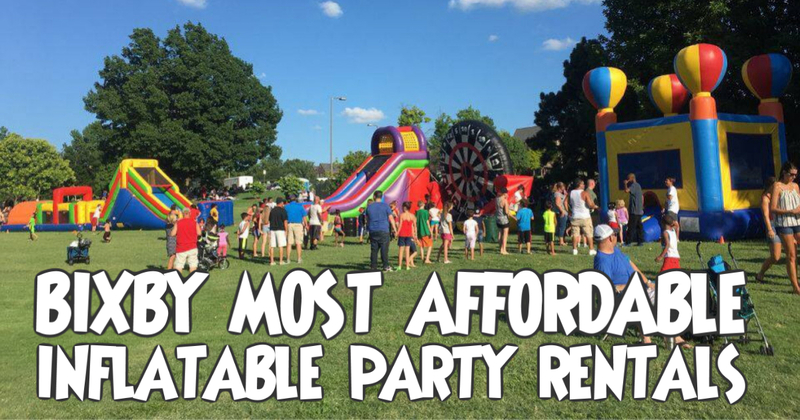 Bounce Pro Inflatables is proud to offer the best bounce house rentals, water slides, obstacle courses, tables, chairs and more that Bixby, Oklahoma has to offer. We are a full service event rental company and we can provide everything you need for your next party or event. Whether you are having a school field day, a birthday party, a church picnic or even a wedding, we have a great selection of items to make your event one of a kind. We have provided services to several schools, homes and businesses in the Bixby, Ok area including events for the Charley Young Park, Bentley Park Sports Complex and many others. We really enjoy delivering the fun to fine folks of all the wonderful neighborhoods in the area including Haikey Creek Park and Charley Young Park, just to name a few. We also proudly serve other areas in Northeastern, Oklahoma including but not limited to Jenks, Broken Arrow, Tulsa, Owasso, Sapulpa and all of the surrounding areas.